First class is disappearing at a worrying rate. As an increasing number of airlines opt to either reduce capacity or eliminate it completely, Simple Flying asks why, and what’s going on in the world of premium travel? British Airways First Class. Photo: British Airways. If you’re keen to fly first class, good luck in finding a seat. British Airways: In 2008, BA had around 560,000 first class seats across its fleet. By 2018, it had almost 100,000 less. Delta: In 2008, Delta offered almost 400,000 first class seats. Now, they have just over 200,000. United: Ten years ago, there were around 380,000 first seats. Today, that number is around 180,000. Singapore: Although less marked, the past decade has seen Singapore first reduce from 150,000 to just over 90,000. Of course, there’s always an exception to the rule, and in this case it’s Emirates. 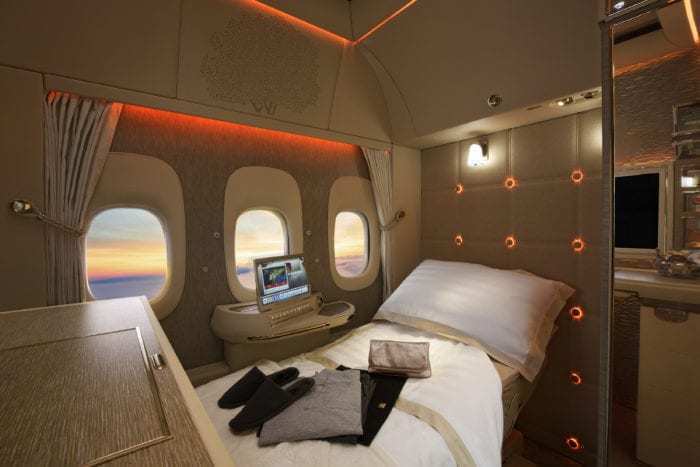 In 2018, the Dubai based carrier had around 310,000 first class seats available. Last year, this number had grown to more than 600,000. With the exception of Emirates, it’s pretty clear that airlines are falling out of love with first class. But why? Why don’t we want first class anymore? If the demand for first was there, airlines would provide it. So it’s us, the passengers, who are stimulating this change. Aren’t we demanding first because the product is just no good anymore? Not at all. In fact, first class today is far better than anything we saw ten years ago. 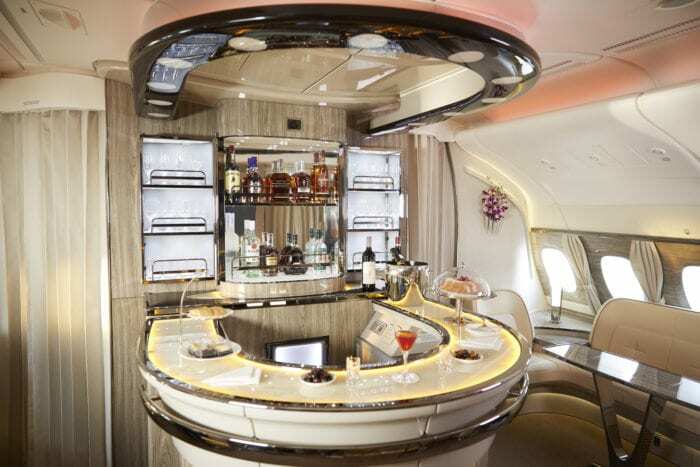 Emirates A380 jumbos come complete with inflight showers, not to mention bars and lounges for the most privileged of passengers. Maybe there aren’t enough wealthy people? But that’s not true either. According to Forbes, the stock of billionaires in the world has doubled to more than 2,100 in the past 10 years alone. Luxury travel is booming; five star hotels and resorts in Asia are expected to increase by more than 150% in the next 10 years. Despite this, the capacity for first around the world has reduced substantially. And predictions for the future of first don’t bode well. Analysts are predicting that, in less than ten years, there won’t really be a first class any more. In the US, it’s already an endangered species. Ten years ago, almost all of the hundreds of long haul aircraft would have had a first class cabin on board. Now, there’s only around 20. Elsewhere, Air New Zealand and Turkish Airlines have scrapped first completely, and even British Airways, once the most well-known purveyor of luxury travel, have eliminated first from their newest aircraft. But if first does disappear, won’t it present airlines with something of a problem? Emirates claim that first and business class make up around 12% of the seats on their flights, but that they generate around 40% of the revenue. We’ve seen what a problem the lack of a premium product can be. Norwegian and WOW Air, for example, focused on crossing the Atlantic with only economy and premium economy products. As a result, both airlines have struggled to make money. The demand for lie flat products on transatlantic routes has practically saved airlines like BA and Lufthansa from going out of business. BA were the first to bring us lie flat first class facilities back in 1995, and it became the most sought after way to travel. For regular travelers, being able to sleep comfortably on the plane saved them a night in a hotel, or even a day’s working time. Norwegian and other LCCs wanted to disrupt the transatlantic market with their super cheap prices. And, to some extent, they did. People who value a cheap fare above all else now have more options than ever before. But they never intended to disrupt the premium market. Turns out they didn’t need to. 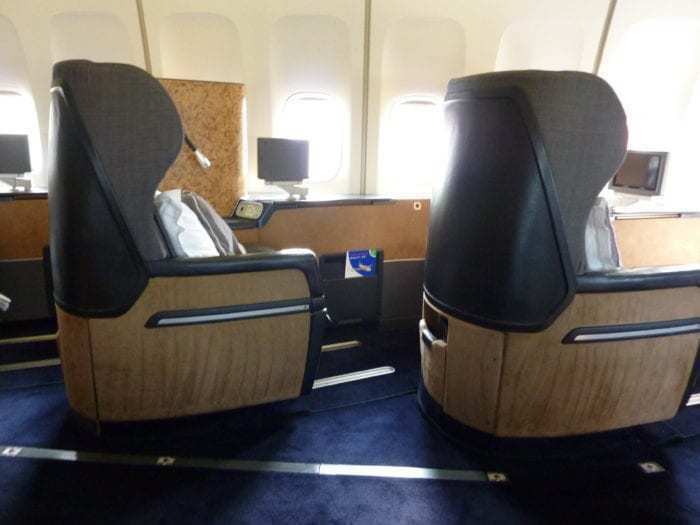 The premium market disrupted itself when BA launched a lie flat seat in – shock horror – the business class cabin. This was around the year 2000, and since then pretty much every other major carrier has followed suit. This has made business class much more attractive, but at the same time, has devalued the offerings of first. Nowadays, there aren’t many CEOs who will be prepared to pay the extortionate prices of first when they know darn well their employees can sleep just fine in business. Is there still a place for first class travel? There’s not much of a case for keeping first anymore. Airlines that do still offer first have two main reasons for keeping it in place. Firstly, it’s so there are upgrades available from business class, giving customers an incentive to remain loyal to the brand. 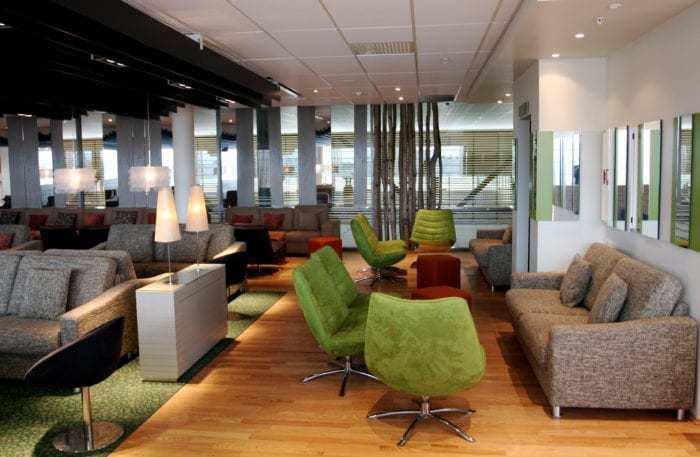 But that case is weakening, as most customers are happy in business, and respond better to other perks such as premium lounge access. The second argument for keeping first comes down to a bit of a marketing trick. Dubbed the ‘halo effect’, it’s all about the rest of the brand basking in the glow of its crowning glory. Take Emirates, for example; because their first product is so very good, flyers begin to think economy on Emirates is somehow fancier as a result. Etihad has probably had more press coverage for ‘The Residence’ than any other product they’ve ever produced. And yet, there are only 10 of them across the entire fleet. Being brutally honest, first class today is little more than a marketing gimmick, and an expensive one at that. Undoubtedly, this is why the majority of airlines are slimming down their first class offering, or dropping it altogether. In fact, there’s only really one place where first still really earns its keep, and that’s Dubai. Why does first work for Emirates? The unique geographical location of the Emirates hub in Dubai allows them to connect with virtually every market in the world. The combined traffic from the wide variety of different markets helps to make first viable, and as a result, 90% of its first class occupants have paid for their seat, rather than being upgrades. Why are they paying? Tim Clarke says it’s all about privacy. Travelling in a walled off suite enables celebrities to cross the globe unnoticed. Another reason is flexibility, as first passengers can set their own timetable for eating, drinking and sleeping, rather than fitting around the cabin crew’s schedule. But even Emirates first product is under threat, and perhaps not from who you’d expect. For the real high flyers, there’s something far better than first, which doesn’t cost a great deal more either. 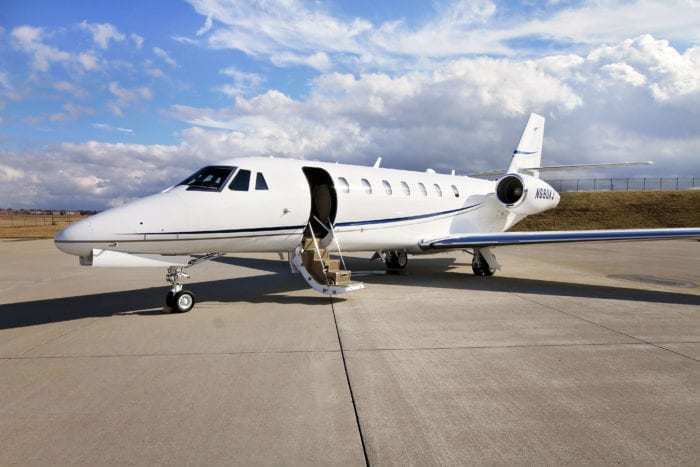 New shared ownership and ride hailing services are driving down the cost of private jets, and for the busy bigwig, it’s the perfect solution. Executives value being able to schedule their flight times themselves rather than waiting for a timetabled flight. And being processed through a private jet terminal is phenomenally faster than immigration at an airport. Smaller jets can land closer to the destinations too, all adding up to save valuable business time. There’s another issue to deal with as well, and that’s the size of commercial aircraft. 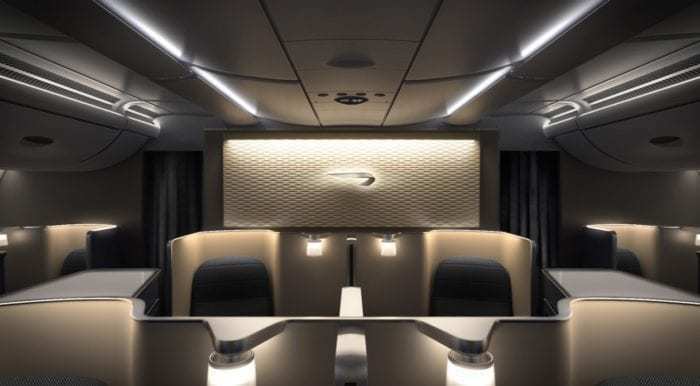 With even the king of first class pulling out of the A380 market in favor of smaller, more efficient jets, there’s not going to be any room for showers and bars on board the next generation of planes. In a nutshell, the days of first class on commercial airlines are numbered. Business has become so good that there’s nowhere else really to go. The basic issue is this: Executives are now flying business class, and millionaire magnates would rather take a private jet. The choice is painfully clear to see. As business becomes better, it will be the new first, and if you want better than that, you’ll need to shell out to fly private. If you’re still lamenting the fact you didn’t fly Concorde before she retired, perhaps the time to book your first class trip is now. Succinct money statement, and good article.